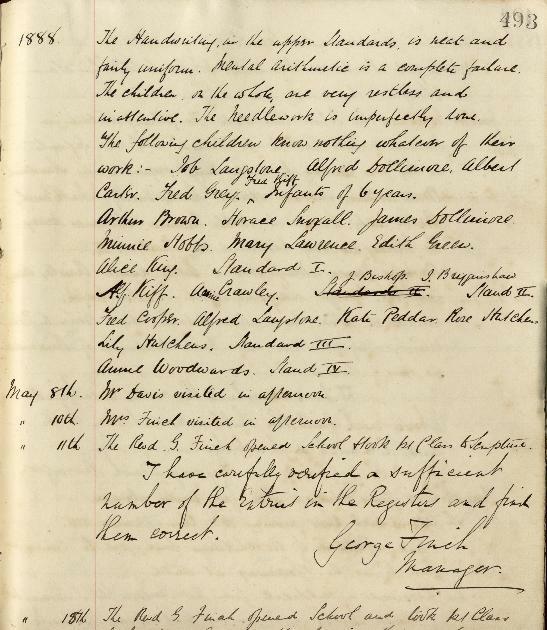 1881 - According to Kelley’s directory, the census gives the population of the parish as 827. It is uncertain upon what grounds they fixed this figure as the actual census enumeration districts remained the same from 1841-1891, and in the case of Leverstock Green that meant the figures were contained within three parishes: St. Mary’s Hemel Hempstead, St. Michaels & Abbots Langley. This despite an ecclesiastical parish of Leverstock Green being in existence since 1850. However it must be remembered that in 1877 the new parish of Apsley was formed, taking part of Leverstock Green into another parish, causing a fall in population within the parish boundary. 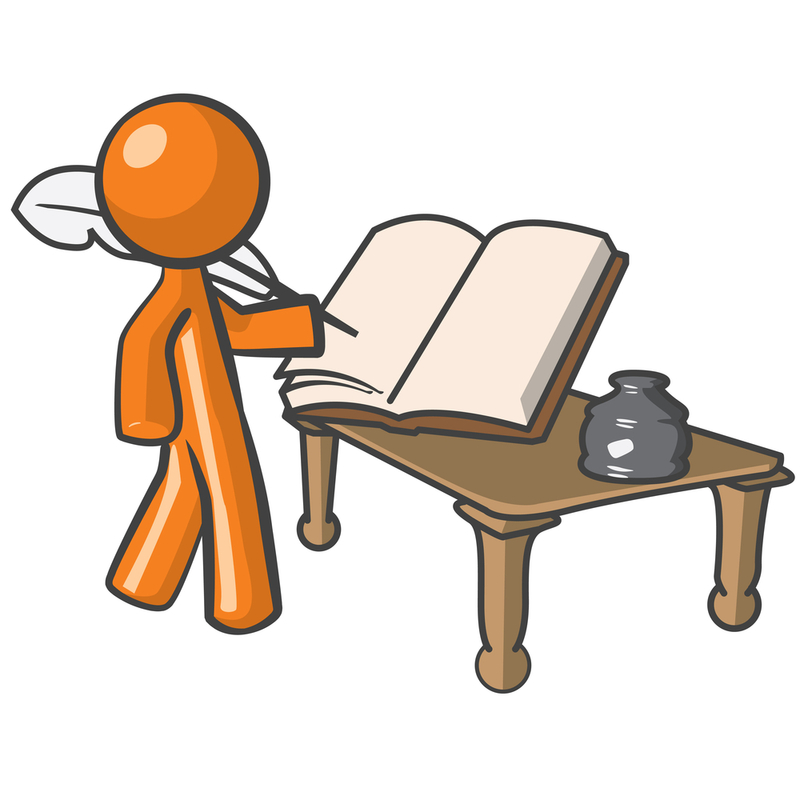 To link to a separate page concerning the Census results for this year click here..
1881 - It was to be a year of extreme weather, with heavy snowfalls in winter, a heat wave in the summer, and severe autumn gales. 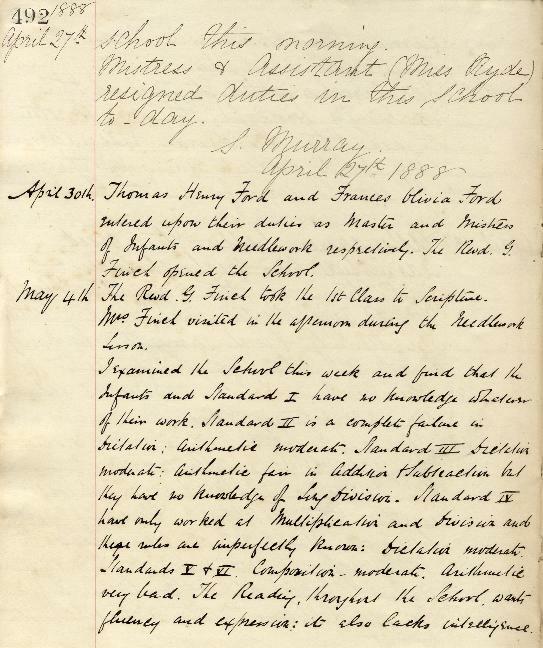 "Received a note from Herbert Seabrook's (Standard I) parents of which the following is an abstract ` Herbert is not ill but very strange in his manners. We think of letting him run about for a few days and if not better try further advice.'" 22nd December 1889 – Daniel How of Woodlane End Farm died, aged 63. He was buried in Holy Trinity Church graveyard a week later on the 27th December. Two months earlier he had written his will, a copy of which (presumably done later in relation to the sale of Woodlane End Farm), is shown here. His new wife, Elizabeth was to keep on Woodlane End Farm for her convenience, and so lomng as she remained a widow. (His first wife Sarah having died in May 1887). Daniel was laid to rest in Holy Trinity Church Graveyard with his first wife. The farmhouse was eventually put up for sale in 1892. However, it is interesting to note that Kelley’s directory for 1912 lists Mrs How as being resident at Cox Pond Farm, and William Henry How – Daniel’s eldest son, was listed as a farmer (no address bur presumably Cox Pond. The family had moved back into the village. [S261, S76, S420, Kel. Dir.] See also entries for 1882/1883. John Child continued to be employed as sub-postmaster and Parish Clerk, as well as running his own wheelrights business along with his son. The National School had been enlarged three years earlier, and could now take 150 children although the average attendance was 125. This increase in the number of students warranted extra assistance, with Thomas H. Ford as the Headmaster and Mrs. Ford as the school mistress. There were still three principle private residents in the village; The Vicar, the Rev. George Finch; Joseph Bailey of Chambersbury ( which he was listed as farming, but he apparently now employed a farm bailiff, a William Woodward. ); and William Davis who had moved from Chambersbury Cottage to Well Farm. There seemed to be fewer changes in the commercial sector this year, with Daniel Charge, John and William Child, Walter Cook, William Cooper, George Dell, Thomas Doult, Jane Finch, George Howlett, James Kentish, Matthew Leno Senior, Robert Norris, William Parkins, William Perry, the three Seabrooks, George Sheppard, George Snoxall and George Timson, following the same occupations as before. However, Thomas Pointer was no longer blacksmith, and no one appeared to have taken his place. 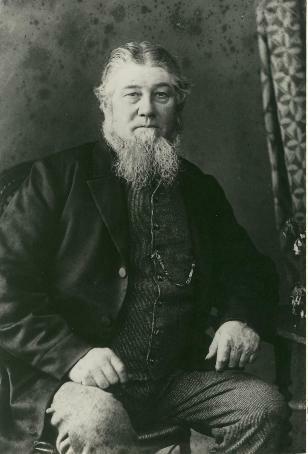 Several additional beer retailers had entered onto the scene, namely, George Croft, John Dell (son or brother to George Dell ) George Fountain and Charles Goodson. Also Mrs. Emma Rose had apparently taken over from her husband in this line. In the farming world, Thomas Doult had taken over North End Farm in addition to his brick works - perhaps foreseeing that the brick industry in the area was soon to go into decline. Mrs. Howe had taken over the management of her husband Daniel's farm ( presumably because he had died), and a John Knox Hart had taken over Leverstock Green Farm. ( I'm assuming that with a name like his, his family attended one of the descanting chapels, and not the Church of England!) Matthew Leno Junior, had spread the family interest, and was now at Westwick Row farm. Nathaniel Robinson was now at Bennetts End Farm, and William Steers was listed as a farmer at Chambersbury Cottage - William Davis having gone to Well Farm. 27th October 1884 - Christopher John Hume Tower was admitted as copyholder to that part of Leverstock Green Farm within Abbots Langley upon the death of Christopher Tower. [HALS D/ELs B900] Click here to view page on Leverstock Green Farm. This Indenture made the fourteenth day of January One Thousand eight hundred and eighty five BETWEEN CHRISTOPHER JOHN HUME TOWER of Weald Hall Brentwood Essex Esquire of the one part and JAMES KNOX HART of 78 High Holborn Middlesex Gentleman of the other part WHEREAS the said Christopher John Hume Tower is now seised or possessed of the hereditaments hereinafter described and coloured blue and pink on the plan drawn on these presents for an estate of inheritance in fee simple free from incumbrances and he has or may have acquired certain rights estate or interest by possession or otherwise in or over the heriditaments hereinafter described and coloured yellow on the said plan and he has agreed to sell the same to the said James Knox Hart for the sum of two thousand three hundred and fifty five pounds. NOW THIS INDENTURE WITNESETH that the persuance of such agreement and in consideration of TWO THOUSAND THREE HUNDRED AND FIFTY FIVE POUNDS sterling paid by the said James Knox Hart Christopher John Hume Tower doth hereby acknowledge He the said Christopher John Hume Tower doth hereby as beneficial owner convey unto the said James Knox Hart and his heirs FIRSTLY ALL AND SINGULAR the freehold lands and heriditaments known as "Leverstock Green Farm" situate in the parish of Abbots Langley and St. Michael in the County of Hertfordshire delineated and described in the plan drawn on these presents and theron coloured blue and pink and the particulars whereof are set forth in the schedule hereto which said farm is now in the occupation of Joseph Smith on a yearly tenancy saving and excepting all mines and minerals and such rights as are reserved to the Lord of the Manor of Abbots Langley by the Copyhold Act 1852 section 48 AND SECONDLY all the right estate and interest (if any) which the said Christopher John Hume now has by title possession occupation or otherwise in or over the piece of land adjoining the said farm and coloured yellow on the said plan TO HAVE AND TO HOLD the said lands and hereditaments unto the same John Knox Hart and his heirs in fee simple IN WITNESS whereof the said parties to these presents have hereunto set their hands and seals the day and year first above written. 1, Howard Street Strand London, signed Christopher (L.S.) Tower J.H. 1st December 1883 – It was agreed that the License of the Leather Bottle would be transferred to Arthur Seabrook on 10th October 1884. John Child still held his positions as Parish Clerk, sub-postmaster and wheelwright, with William Stow to help him in the latter capacity. The agricultural community has undergone some changes, though Joseph Bailey, Mrs. Jane Finch, Daniel Saunders and Joseph Smith still farming, with William Cooper and John George still dealing in hay as they did in 1878. New hay dealers in the village are Arthur Franklin and Reuben Seabrook. I wonder if Reuben was any relation to the Henry Seabrook who ran the Rose and Halswn in 1870? Matthew Leno had now taken over Cox Pond Farm and George Snoxall had taken on North End Farm. Thomas and William Perry had become local farmers too, presumably they were brothers. Another new member of the farming community was James Kentish, who was listed as a pheasant breeder. I imagine he must have bred pheasants for the Earl of Verulam. The various hostelries in the area had also undergone certain changes. The Red Lion was still in the hands of George Timson, but the Leather Bottle had changed licensee yet again, and was now run by Jesse Denham. The Rose and Crown was also in the hands of a new man - Arthur Franklin, whom I've mentioned earlier as a new hay dealer. There is no mention at all of the Mason's Arms! George Dell was still retailing beer, other members of the fraternity being replaced by Mrs. Elizabeth Harper, and William Steers, with Charles Moorcroft plying a similar trade in Bennetts End. The two brick and tile makers were as before, Thomas Doult and Daniel Norris. The village could also now boast of having its own baker: George Sheppard. 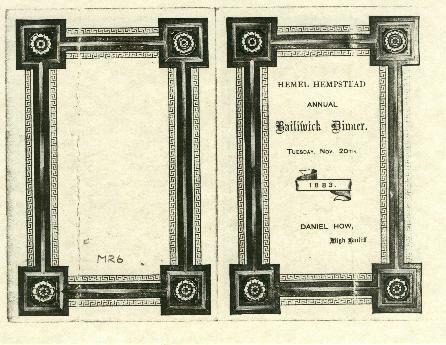 1882/1883 Daniel How of Woodlane End Farm (and Corner Farm, High Street Green) was appointed High Bailiff of Hemel Hempstead in 1882 and also of the Board of Guardians, the Committee of the Burial Society, the Cottage Garden Society and the Oddfellowes. He was described as possesing a good strong sense, a straighforward nature, and a kindly and genial spirit." 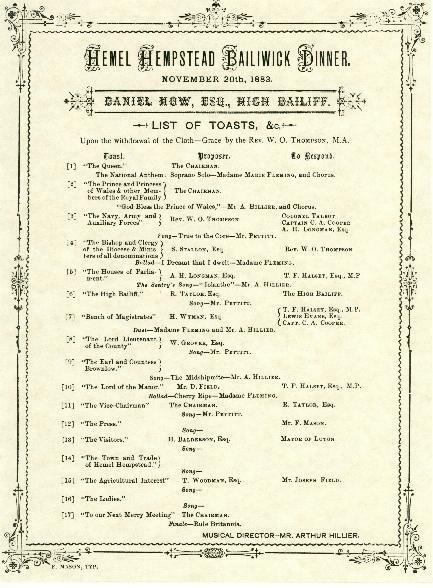 The photo below(Nov 1883) shows Daniel as High Bailiff in 1882. The How family had served, and contiues to serve its local community. Daniel was eventualy to die in 1889 and is buried in Holy Trinity Churchyard, Leverstock Green. 1882 - Kellys Directory for this year again gives plenty of information on the village. Initially the comments are the same as 1870 and 1878, but it is noted that "there are memorial windows in the chancel to the Rev. Edward Waring Oswell, 1853." Kellys Directory also gives us more information about the village school saying it was erected in 1875 for 110 children. ( I feel the date was a misprint, intending to give the date 1857, when it had been enlarged. This error continues in subsequent editions.) It was reported that the average attendance was 86 and that it was supported by voluntary contributions. Miss Florence C. Tisoe was still the schoolmistres. Farmers and others wishing to breed Cart Horses that they can sell for long prices should use the Entire Shire Horse SHIRE KING, the most impressive sire that travels in the County of Herts., he moulding his stock after his own stamp as stated by numerous breeders who have patronised him. See list of some of the prize stock below. 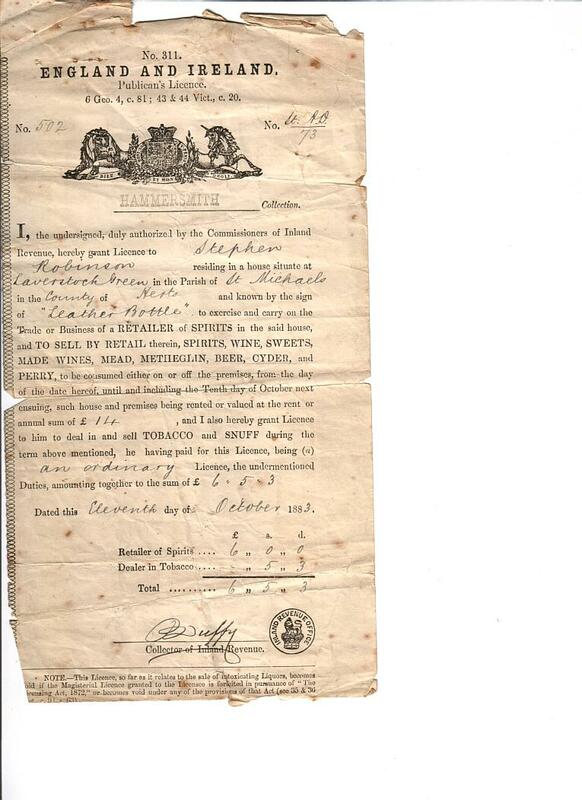 The property of Mr. Benjamin Robins, Westwick Hall-farm, Hemel Hempstead, late the Property of Walter Gilbey Esq., Elsenham. The owner holds a Vet. Certificate of soundness from Professor Wortley Axe. examined at Hatfield Station Show, 1888 and 1889. £2 10/- each Mare and 5s. the Groom. Except to members of Herts. 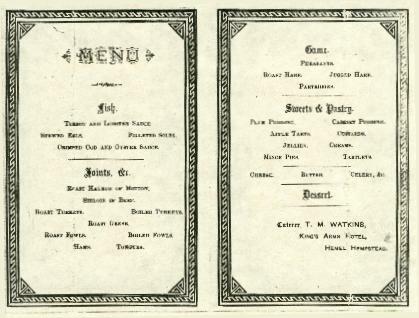 Agricultural Society, to whom the Fee is £2 and 2/6 the Groom. Provided the Groom's Fee be paid at the time of the service, and the remainder by 24th June, but for all Mares not then paid for an additional 5/- extra will be charged. These terms will be strictly adhered to, and from which the Groom is not allowed to depart. All Mares tried to be paid for. SHIRE KING will travel in the neighbourhood of the principal towns in Hertfordshire. The owner will not be responsible for any damage to Mares. SHIRE KING is a good roan with points, on good short legs, with plenty of bone and hair, and good sound feet; he has immense muscular power, and remarkable hardy constitution, and has proved himself a very sure stock getter of the right sort, including Pelham Hero (5925) who won first prize £21 and second prize £5 at Saffron Walden, Show, Essex Society in 1884, and other winners, particulars of which can be obtained of W.Gilbey, Esq.